When I was preparing to depart the lower 48 for Alaska to finally attend seminary, after a decade and a half wait, my cousin Bob made a poster for me out of pen and ink. 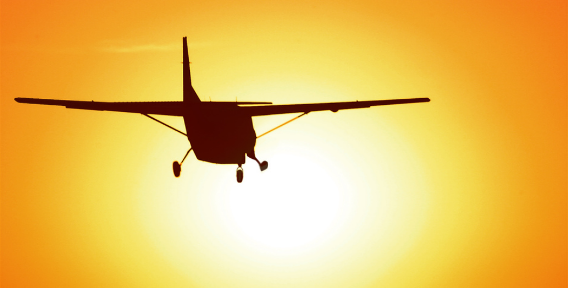 It was a picture of a Cessna aircraft (my uncle is a pilot), and the title, I thought, was very telling – “Fr. John’s Last Flight.” In the upper corner, it showed an image of this very plane flying away into the sky. I take it with me everywhere, and it goes up near my workspace as soon as we unpack. The truth is – our trip to Alaska was far from anything ‘final,’ it was a glorious beginning! But to do it, we had to abandon everything and go forward. That’s what it took for us to go to Alaska – three kids in tow (one a 4 month old baby), and $70 to my name. I’ve always kept this poster as a reminder of this. What can seem like an ending, a finale, can actually be simply the beginning of something which would have been impossible without completely committing to go forward. We went in faith, like Abraham, to a land we had never seen. First, there is no such thing as a golden age. There never was (though many like to romanticize certain times and periods). Things are always in flux, growing, changing and overcoming the obstacle du jour. Often, these are great battles, not times of peace and tranquility. The Bible makes it clear that it was that way in Israel, it was that way in the Apostolic era, and nothing in the Church in this regard has changed since then. Anywhere. Everywhere. Always. If the glorious Apostle to the Gentiles, the heavenly trumpet, St. Paul did his part and moved on, I’m willing to do so. I was very happy to do what I was sent to do, and do it all my might. Indeed, though it is a hardship, what a glorious thing to be counted worthy by our Lord Jesus Christ to follow in the footsteps of His chosen vessel! If our father Abraham, mighty in faith, the father of nations, was called and chosen to go in faith, what a happy thing it is indeed to follow in his giant footsteps. Finally, and this is most important, we are Orthodox. We do not forget the past. We do not ignore the past. We do not turn our back on the past. But we do turn our face towards the future. Is something ending in your life, or just beginning?